Save the Trash! Why the Gawker Archive Is ImportantWe’ve made this mistake before. Did I Kill Gawker?Or was it Nick Denton? Hulk Hogan? Peter Thiel? Or the internet? Gawker.com Is Shutting DownGawker Media’s new owners at Univision will shut down the flagship site. Gawker Files for Bankruptcy Protection in Preparation for SaleThe company already has an offer from PC Magazine publisher Ziff Davis. Gawker Announces New Leadership Following a chaotic couple of weeks. Hold On — Is Gawker Media About to Reboot and Rename Itself? [Updated]Way to bury the lede. 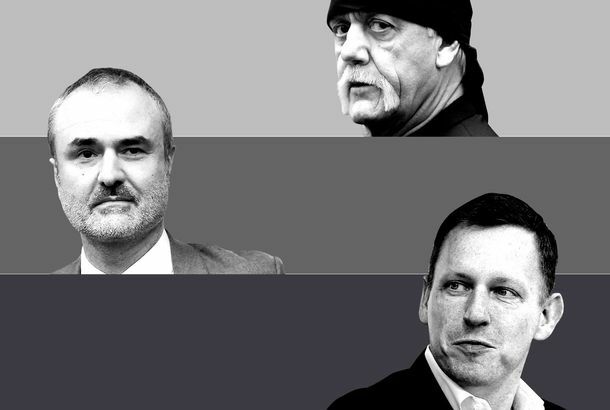 Gawker’s Existential CrisisIs the notoriously snarky media growing up, or falling apart? Gawker Media to Be Ruled by Consensus Instead of just by Nick Denton. The Norma Rae of Fashion InternsMeet Diana Wang, the unpaid intern suing Harper’s Bazaar. A.J. Daulerio Replacing Remy Stern at Gawker [Updated]Nick Denton has done it again. Gawker Boss Nick Denton Is ‘a Little Tired’ of Being Jaded, and Yes, He Wants to Get MarriedThe new-media guru hosted a marriage-equality event last night. Jezebel Founding Editor Anna Holmes to Leave at End of MonthFormer nymag.com editor Jessica Coen will assume full control of the site after that. iPhone Leak Investigation on Hold After Gizmodo Points to Shield LawsPolice took four computers, two servers from Gizmodo editor’s house in raid. Gawker Staff Mystified by Cityfile Purchase, Management Shake-upWell-liked editor Gabriel Snyder is out, and Cityfile’s Remy Stern is in, at Nick Denton’s flagship website. Gawker Media Managing Editor to ‘Fast Company,’ Consumerist.com on the BlockMore changes under way at Nick Denton’s blog empire. Nick Denton on Media: We Are All ‘Sleepwalking Into Economic Extinction’According to the Gawker Media chief, there’s hope for quick-thinking Internet companies. Big conglomerates, sorry, it’s too late.